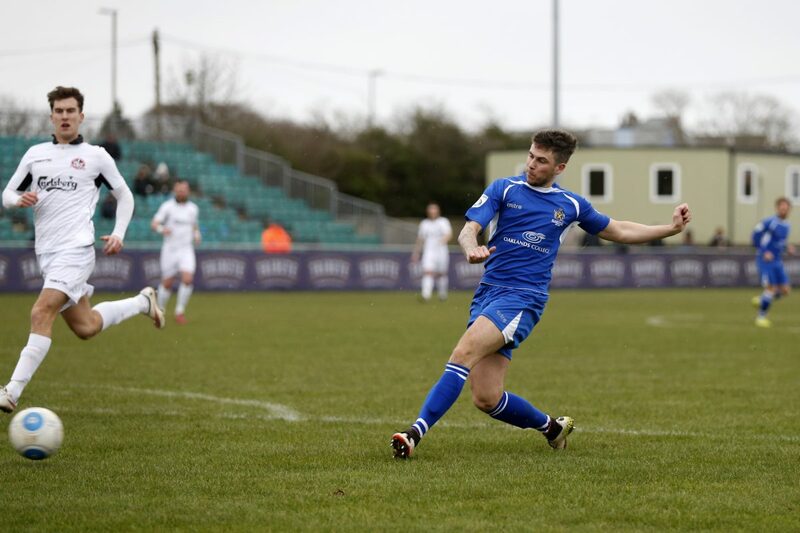 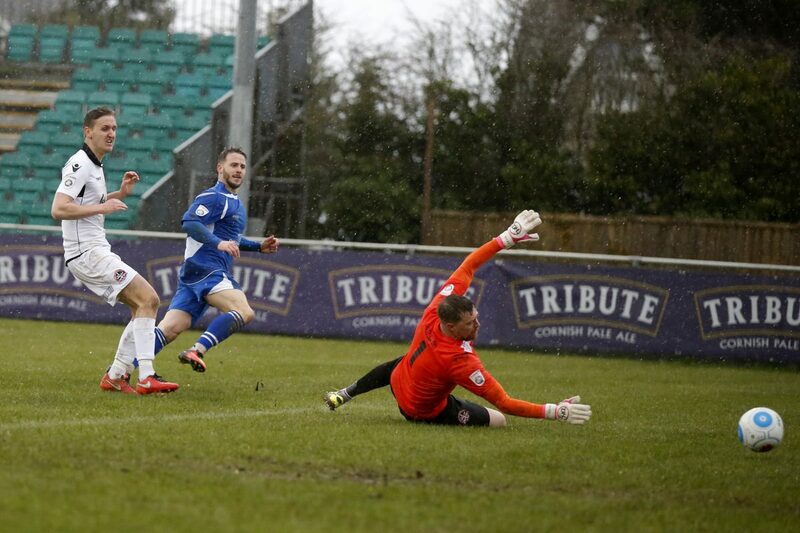 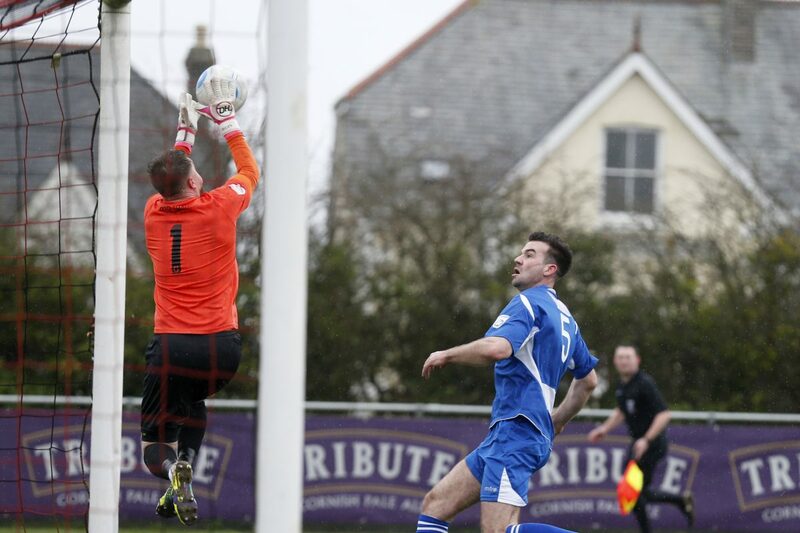 The Saints made the long journey back home without any points despite having the majority of the possession at Treyew Road on a wet and blustery Saturday afternoon. 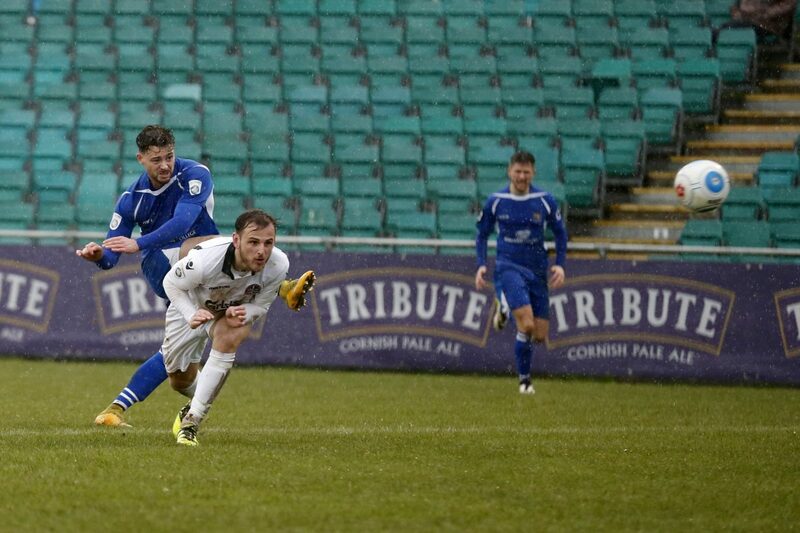 The Saints created five or six decent chances in the opening 20 minutes but it was Stewart Yetton who put Truro City ahead, in the 20th minute, with Truro’s first meaningful attempt on goal. 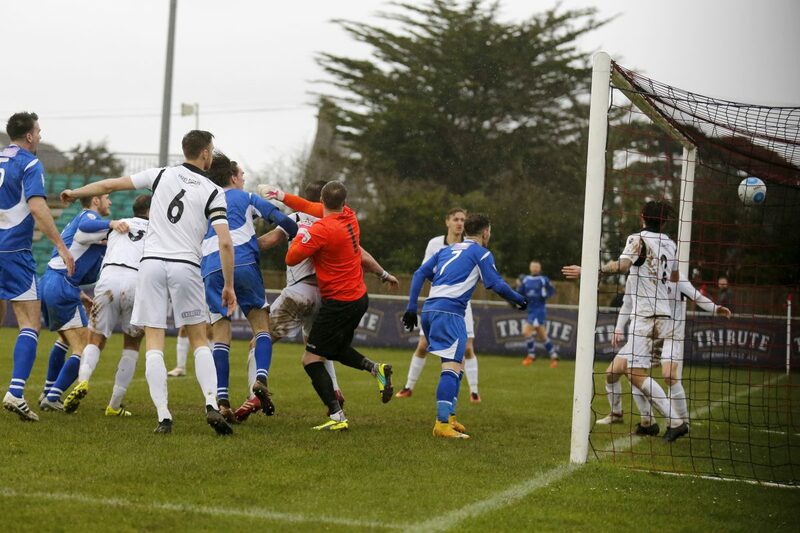 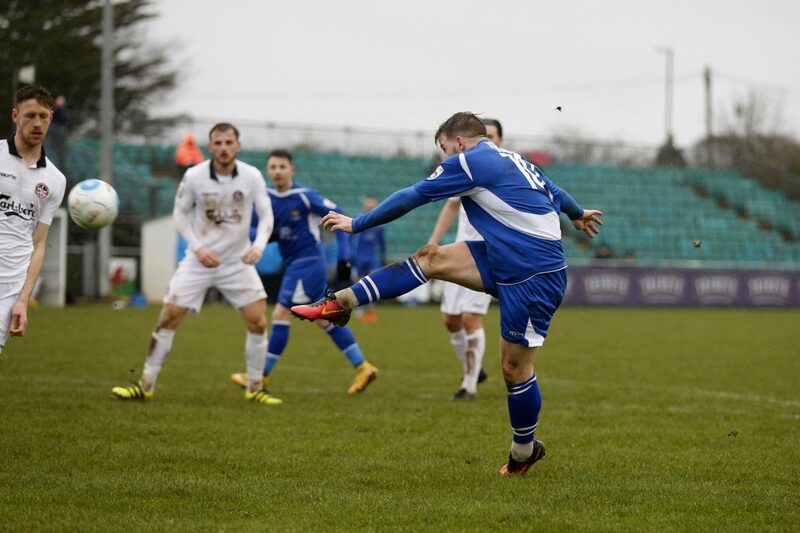 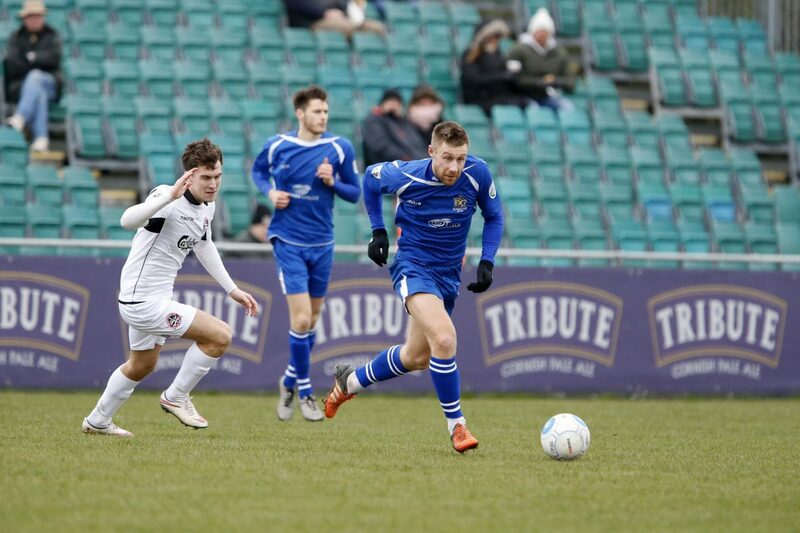 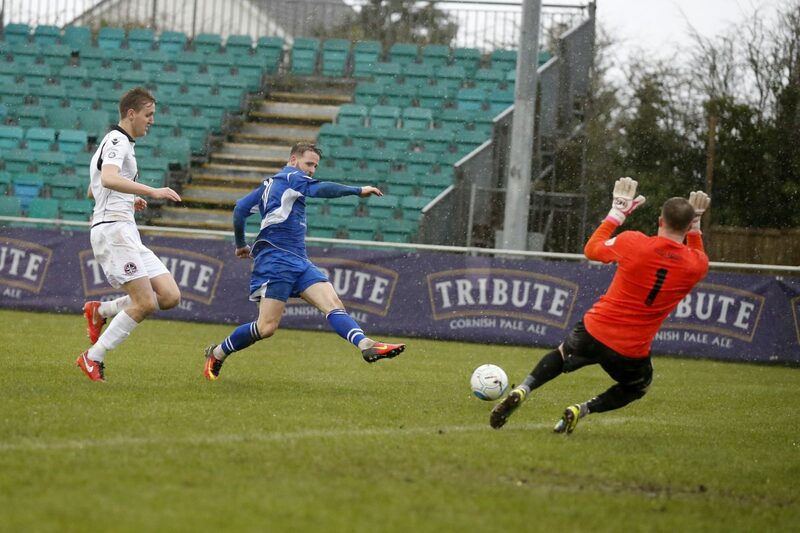 The Saints continued to create chances but were unable to get back on level terms by half term. 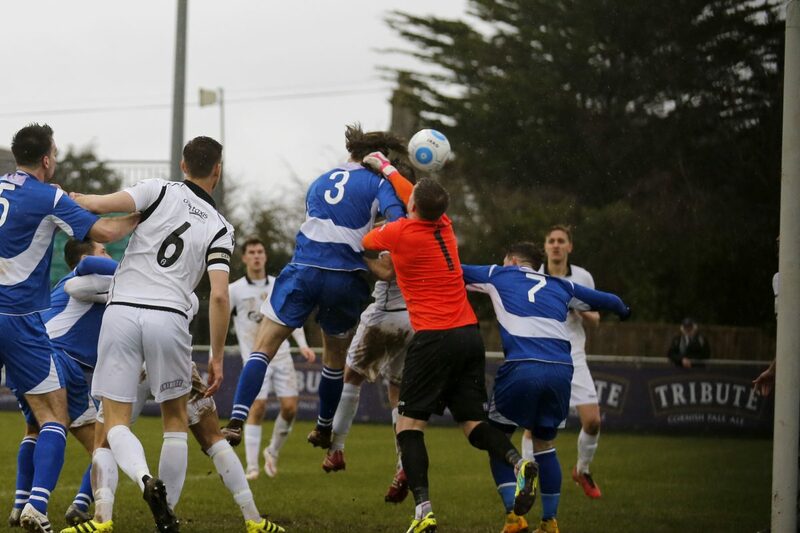 However, shortly after the restart, Tom Bender headed in from a corner in the 48th minute. 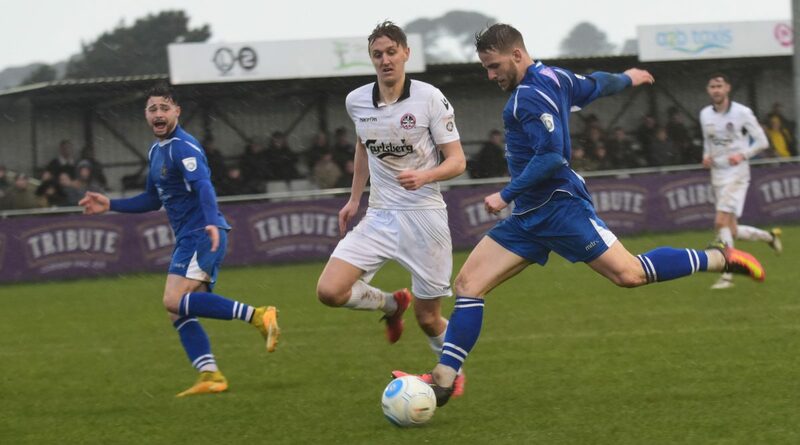 Unfortunately, a defensive lapse allowed an unmarked Pugh to head home and put Truro City back in the lead with their first attack of the half. 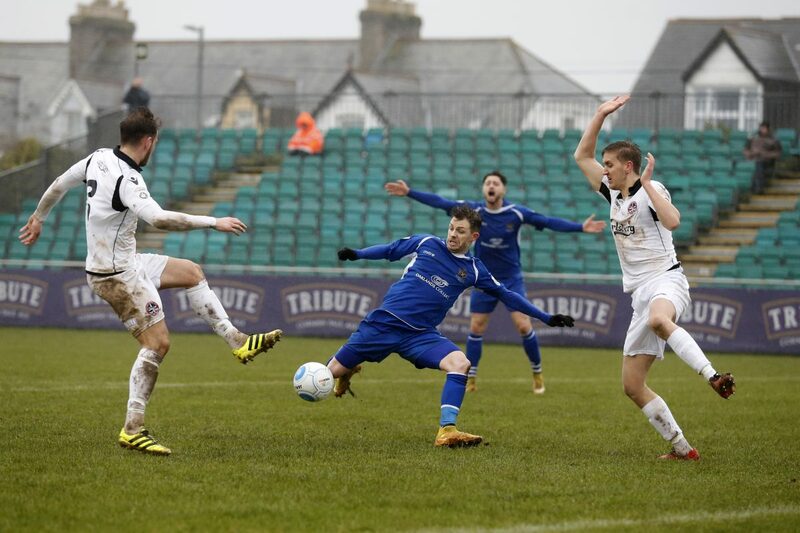 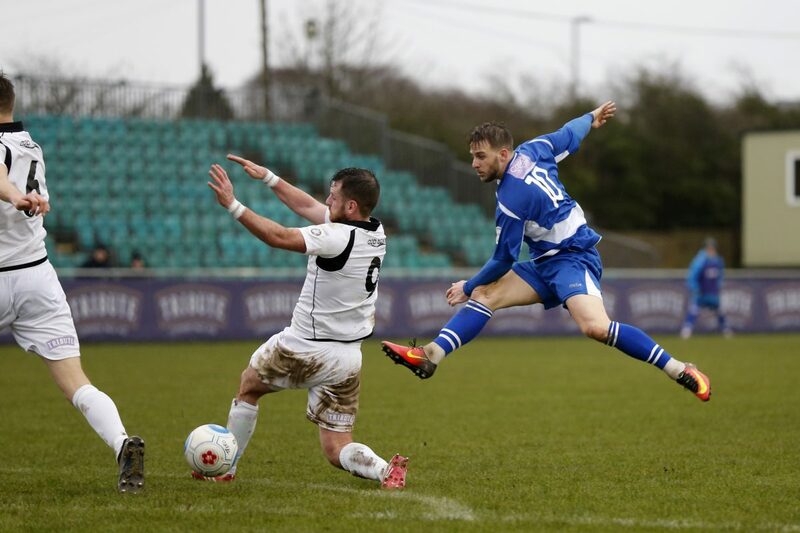 The Saints were still looking dangerous when going forward and, in the 54th minute, Jamie Cureton played in Charlie Walker who shot low past Martin Rice in the Truro City goal. 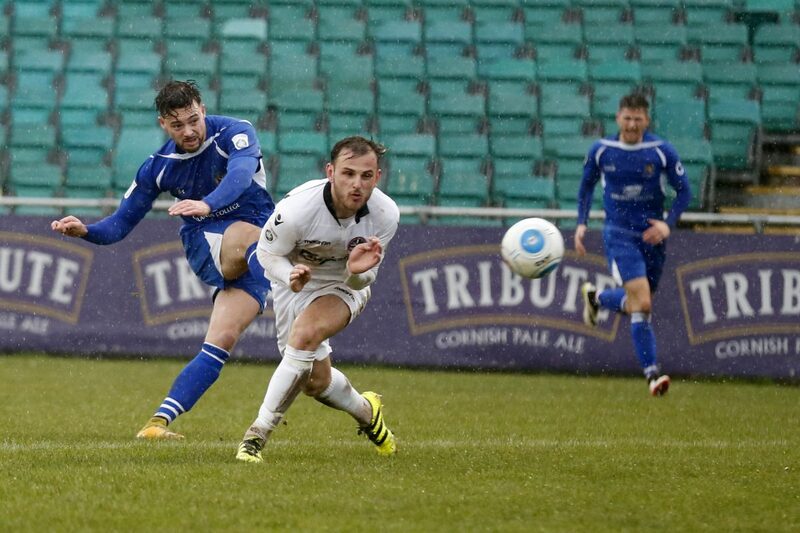 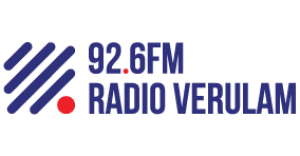 The Saints seemed to have taken control of the game but in the 77th minute George Casey was penalised for a push in the penalty area and Tyler Harvey converted the penalty to give Truro City all 3 points.